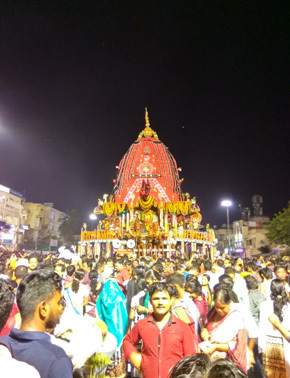 The Chariot of Goddess Subhadra is known as Devadalana. 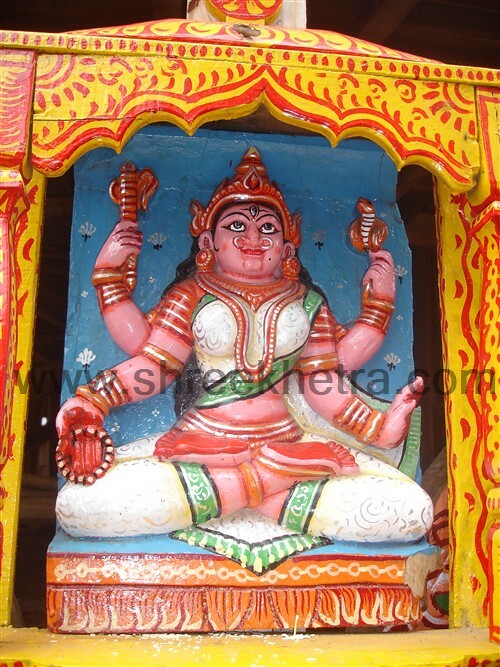 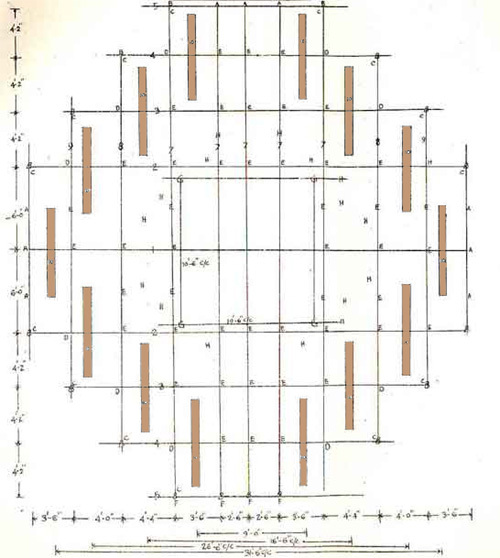 It is also known as Darpadalana and Padmadhwaja. 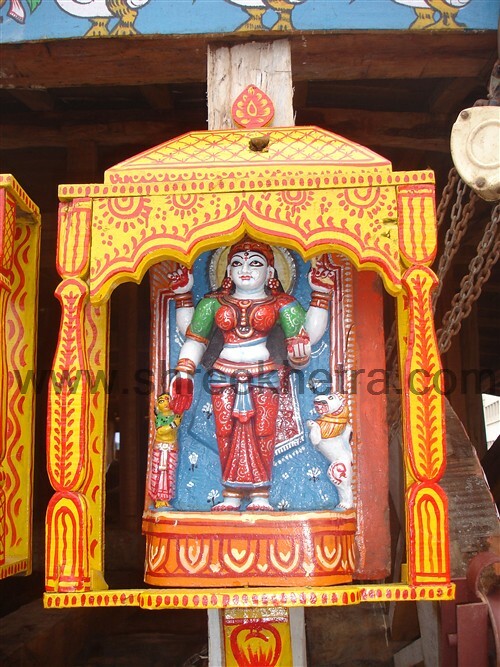 The easiest way to identify the Chariot of Goddess Subhadra is by color of the covering of the chariot. 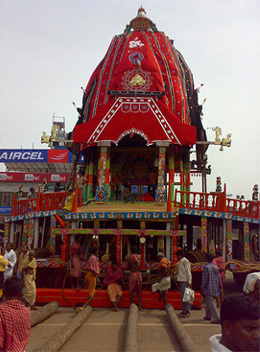 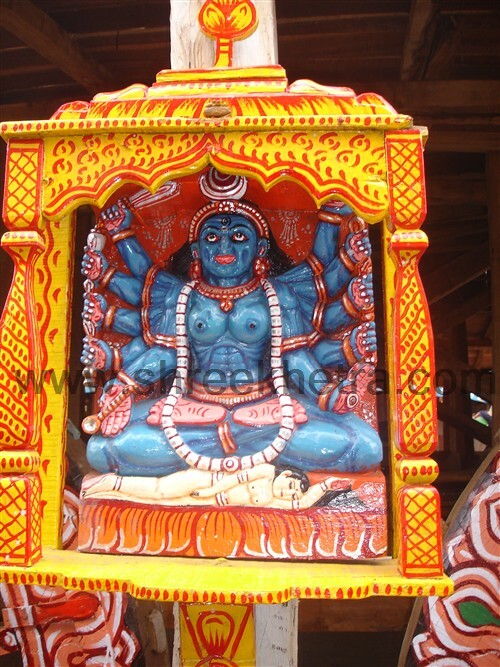 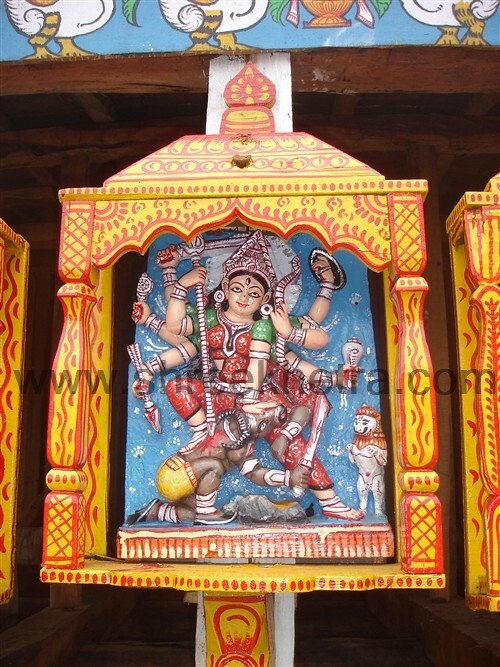 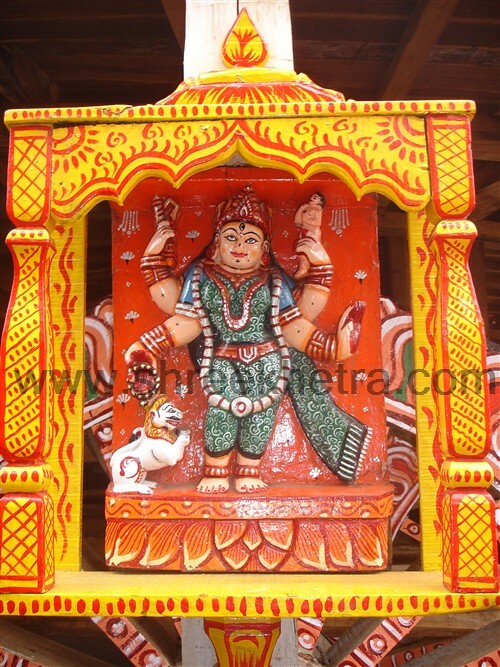 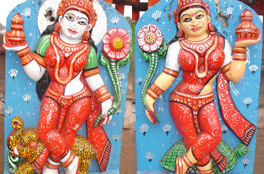 The chariot of Subhadra has a black and red color canopy and it is also the smallest of the chariots. 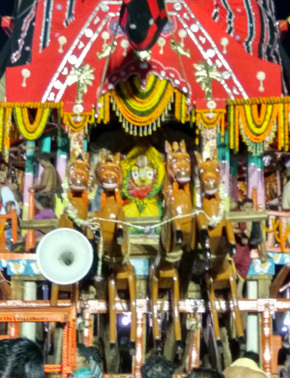 The Chariot has 4 horses and the color of the horses is red. 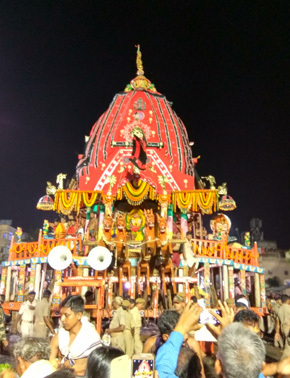 The height of the Chariot is 43 feet and it has 12 wheels. 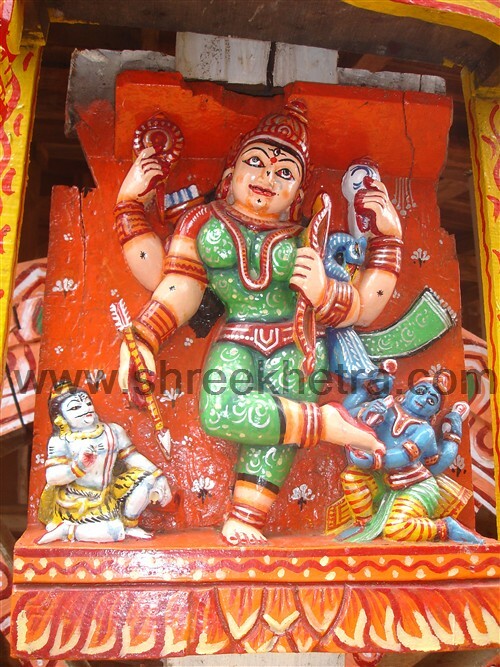 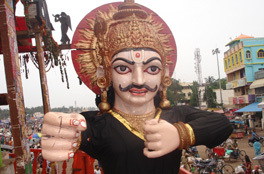 The guardian deity of the chariot is Jayadurga and the charioteer is known as Arjuna. 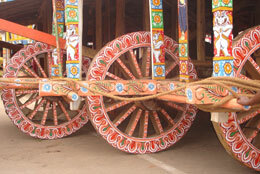 The flag on the chariot is known as Nadambika. 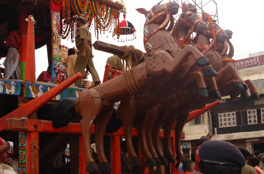 The rope that is used to pull the Chariot is known as Swarnachuda. 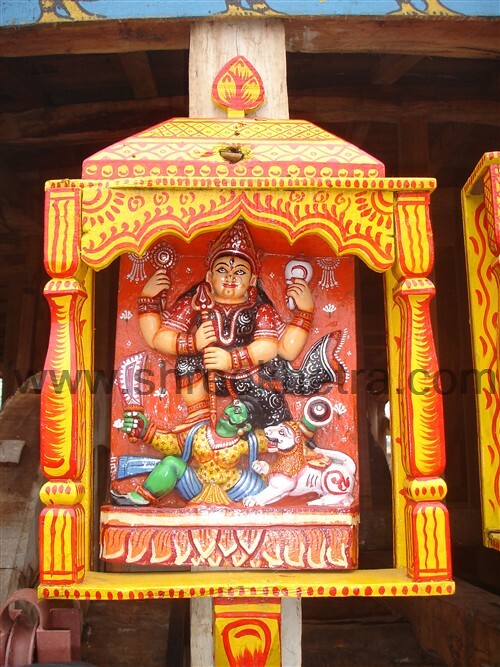 Along with Subhadra, the chariot also has the idols of Chandi, Chamunda, Ugratara, Vanadurga, Shulidurga, Varahi, Shyama Kali, Mangala and Bimala. 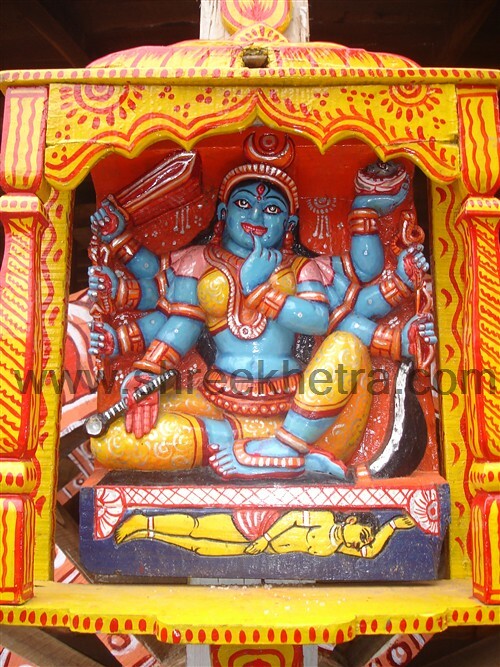 The face of the Chariot is known as Bhakti Sumedha and the weapons are Padma & Kalhar.